First of all, I have to mention the book that is causing some big buzz here there and everywhere at the moment and that is S by J.J. Abrams and Doug Dorst. I have to admit that initially I was a bit sceptical about the book because of all the hype. I knew it was written by ‘the man behind Lost’ and if I am honest I wasn’t sure about it because I stopped watching Lost after the first series as I got, erm, lost. However as I saw people discussing it and how the book houses postcards, napkins with maps on, letters and much more my interest was officially piqued. When it arrived in the post last week I will admit I did do a little dance of glee. As yet I haven’t dared open it, I am planning on spending the day with it next weekend – as I don’t want to lose the pieces inside or put them in the wrong order. This is partly why I still haven’t opened Building Stories by Chris Ware, it is still wrapped on the top of my bookshelves. Elsewhere in that pile are some new to me authors such as Ismail Kadare (who won the International Man Booker Prize, and its short so worth a punt), Jorn Lier Horst (who I was recommended I would like for giving a very different twist on the cold crime genre) and Nadifa Mohammed (whose Black Mamba Boy I have always meant to read and haven’t and is one of the Granta Best Young British Novelists), all of whom I am going to give a try. There are authors I know too of course. M.R.C. Kasasain’s The Mangle Street Murders was one of the books I mentioned in my ‘books to look out for in the second half of 2013’ on The Readers, I love a Victorian mystery and this looks like a great start of a new series with a duo with a new dynamic and looks at the roles of women in Victorian society, ace. Val McDermid I have been a big fan of for ages and am very excited to read the next Tony Hill and Caron Jordan series after how she left us with The Retribution, this time Tony is prime suspect in a crime. Kishwar Desai’s series is one I often tell myself off for not reading more of, this is her third so I really must read her second. The last two books are from more famous authors I suppose you would say. Donna Tartt really needs no introduction at the moment as The Goldfinch has had more press and social media buzz than I have seen in a book in ages. It has really put me off and after hearing the last episode of The Readers, her publishers sent me this to see if I could be tempted. We will see. I loved The Secret History so I am not sure why I am so anti this one. Finally there is the memoir of Anjelica Huston (who I like to call Jelly Who-Who, and have been slightly obsessed by since she played the Grand High Witch in the adaptation of Roald Dahl’s The Witches and as Morticia in The Addams Family) I can be a bit funny about celebrity memoirs but I find her a fascinating woman and apparently her mother was a great writer and it runs in the family by all reports. Actually a bit giddy about this one. Oh actually Essie Fox’s latest The Goddess and the Thief, another Victorian delight, is out at the start of December my mistake. Louise Welsh is back with A Lovely Way To Burn the start of a new trilogy which sounds like a crime set in a dystopian London from the blurb. Tim Winton is back with Eyrie a novel of a man who has shut himself off from the world and whose past comes to haunt him through some neighbours he meets. Kinder Than Solitude by Yiyun Li (who I have meant to read for some time) also sees the past coming back to haunt three friends, now living continents apart, who were involved in a mysterious accident in their youths that saw a woman poisoned. Eat My Heart Out is meant to be the debut of the Spring as Zoe Pilger has apparently written The Bell Jar meets The Rachel Papers, intriguing – Sam Byers loves this book. Lost tribes are hunted in 1950 in Hanya Yanagihara’s The People in the Trees which Ann Kingman of Books on the Nightstand has been raving about. If you like your books with a dark disturbing twist and sense of malice The Bear by Claire Cameron looks amazing as a camping trip goes horribly wrong and five year old Anna is left to fend for her and her three year old brother as her parents have disappeared and something is lurking in the woods. Ray Robinson’s Jawbone Lake is one that will intrigue me personally as it is set in the Peak District, which is of course my homeland, and you know I love a good tale set in the countryside and a literary thriller, which apparently this is. I actually spent some time with Ray when he was writing it and we hunted murderous spots in Matlock – though I’ve noted there are no thanks for this tour in the author’s acknowledgements, the bugger, ha! This is probably going to be my next read. You will read my thoughts on A.M. Homes May We Be Forgiven in the next few weeks and suffice to say I am a bit on the fence with her. I think she’s an incredible writer but almost too good. That might sound crazy though it will make sense when you see my review; I decided to grab Jack as I want to try more of her work. Tove Jansson is an author many people, especially Simon T of Stuck in a Book, have recommended so I thought I would try her short stories. Paul Bowles The Sheltering Sky I know NOTHING about but it was a silver Penguin Classic and so I thought ‘oh why not?’ and snapped it up. Phew – that is more chatter than I had planned, I do apologise. So do tell me your thoughts on any of the books that are out, the ones that are coming and any of the authors mentioned. Oh and if you think this is a showy off post go here and see my thoughts on that. Also do let me know what books you have got your hands on lately or what you are keen to read, I look forward to hearing all about them. 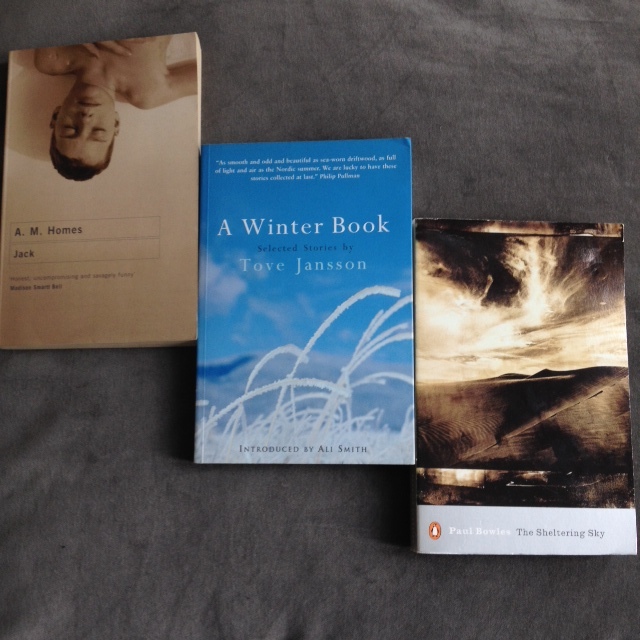 The Man Booker Judges 2011… Can Judges Make A Prize More Interesting? I am feeling a little bit fickle today. The reason I think this is all because of The Man Booker. I have to say I was a little disappointed with The Man Booker Prize winning novel this year, without having read it I will freely admit, and the prize in general. Wonderful titles like ‘The Long Song’ and ‘Room’ were included but I couldn’t get passionate about it like I did back in 2009 when ‘Wolf Hall’ won and I read the whole long list. 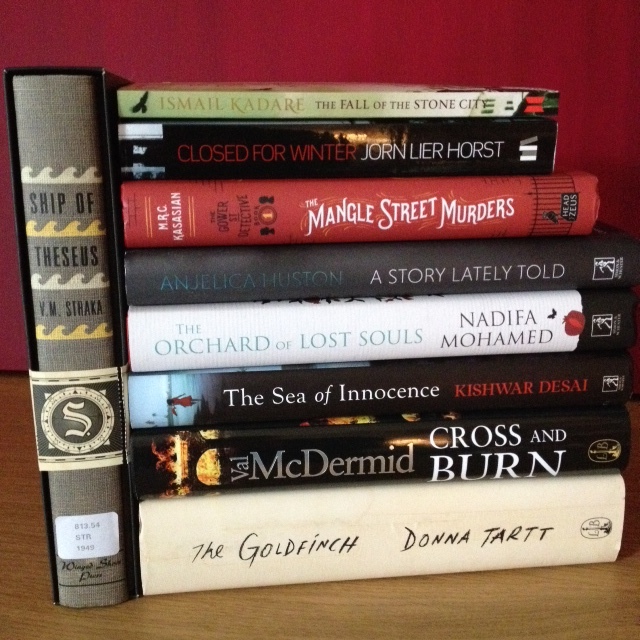 I couldn’t be bothered about reading them all this year (and have culled quite a few of the titles I haven’t read that were in the long and short lists) the prize seemed to be really stuffy and trying to be trendy all at once. Though of course that could just be me who thought that? However the fickle me is now quite excited about The Man Booker 2011 because of the announcement of the judges earlier today who are author Matthew d’Ancona (who I hadn’t heard of before), author Susan Hill, politician Chris Mullin, Head of Books at The Telegraph Gaby Wood and Dame Stella Rimmington who was the head . Rather an eclectic mix don’t you think? I don’t know two of the judges, sorry, but the other three I am really intrigued and pleased about. I am not majorly into politics but I am a big fan of Chris Mullin and his political views so that’s endeared me to him, we have something in common to a degree, though I do wonder if people will be a bit ‘why is a politician judging a book prize’? I am of course ecstatic that one of my favourite authors Susan Hill is one of the judges I need say no more. The one I am most excited about is Dame Stella Rimmington… because she worked for blinking MI5!!! I wonder if this could be the year for crime appearing more heavily on the list with her and Susan Hill at the helm. Interestingly as ‘The Green Carnation Prize 2010’ draws to a close with the winner announced next Wednesday and yet we are already working on ‘The Green Carnation Prize 2011’ and currently its judges, some of us are staying and some sadly just have too manic a year but maybe joining as ‘guest judges’ after longlists and shortlists are announced, it’s a different way forward for a judging panel but will mean new insights at each stage and yet some of the same faces year by year. So we have been looking at who we should approach and why which has had me thinking a lot about judges and their appeal, so I thought I might ask you your thoughts! Does who is on a panel affect what you think of an award? Can certain judges endear you and if so why? Would any particular people put you off? Who, if you created an award for books, would you love to have on your five piece judging panel along side you and why? What Do You Want & Expect From An Award Winning Book? This is a question which I have been asked rather a lot recently. Actually the exact question has been ‘what do you look for in an award winning book?’ So I thought I would open it up to all of you for all your thoughts on that very subject. We all do it, we judge the panel that judge the award and we always have opinions of why a winning book should/shouldn’t or did/didn’t win don’t we? (If anyone is saying no then you are fibbing!) I am also interested, as ever, in what you all think because I would like to see just how different or similar our expectations are with these books. I could easily think of some recent titles that show just how much discussion/controversy book winners can cause. The first that came to mind were these two both winners of awards in 2010. First up is ‘Truth’ by Peter Temple, which I have now decided I need to get my hands on imminently, this book seemed to shock everyone by being a ‘crime/thriller’ that won the literary prize The Miles Franklin Award 2010. Why should that be so shocking, does the genre really matter? There seems some great surprise, like when Tom Rob Smith’s brilliant ‘Child 44’ was put forward for the Man Booker, that a crime book could be well written and yet they are well written (need I send you in the direction of Kate Atkinson or have I raved about her enough?) in fact I think some of the plots in some of the best thrillers published could put some of the more prose heavy contenders to shame yet you wouldn’t. Also a shock winner this year was ‘The Lacuna’ by Barbara Kingsolver (which I gave up on and am giving to Gran at the weekend as she’s doing it for one of her book groups and a ‘guest review’ on here) which caused a lot of controversy for winning the Orange over what many believed was the better novel ‘Wolf Hall’. It appeared the judges couldn’t let the latter book win as it won the Booker the year before, which strikes me as slightly odd because surely if its won one award already it’s because its bloody good and deserves to win more? Or is it just me that belongs to that rare school of logic? Turning to another subject on award winners I was interested that reviews of one of this years Man Booker long-listed titles ‘Room’ by Emma Donoghue have suggested that despite the fact people think its absolutely brilliant they doubt it will be Man Booker winning material because its too accessible. I am not berating that because that’s what I thought too, why though? Shouldn’t the books that go on to win awards, not only by being very well written, be able to reach out to a mass of people and just be a cracking good read as well as everything else? Really with most awards it’s down to a group of people rather than us and what they think makes a cracking read. They aren’t able to please everyone and yet we expect them to, which brings me nicely to my next point. Another question which I have been asked a lot is ‘what qualifies you to be a judge of what is a good book or not?’ My answer so far to that one has been ‘I read enough of them to know what I like, what makes a book special or amazing rather than just another good read, it’s a very personal thing too.’ Which left me wondering what my criteria is for an award winning book and I don’t think it would match some other peoples, and maybe people will be asking the question at the start of this paragraph even more after seeing what it is. The writing has to be captivating. I don’t mean that it has to be the most beautiful prose that has ever graced a page – though that helps – I do need to be spell bound by it, every word should count without being calculated and together as a whole work have an effect on me. It needs to be readable and accessible. I don’t want to be able to put it down (this doesn’t mean it has to be trashy books like the marvellous ‘The Hand That First Held Mine’ by Maggie O’Farrell can be stunningly written and also page turning) yet I don’t want to enjoy it and forget about it as soon as its on the shelf. I want narrators who I believe the whole way through no matter how lovely or vile or how reliable or not they may be. It needs to be a book I would rush out and buy for anyone and everyone (hence why no thoughts on any of the long listed or short listed books of a certain prize will appear on my blog or be discussed by me in specifics in the real world until the winners announced) because because its a great story and one I want others to read asap. Most importantly I want a book that stands out and etches itself in my brain in some way, it doesn’t have to change my life or world completely, but it does need make me think and linger with me for days, weeks and months after. So what makes the perfect award winning book for you? By all means mention a few titles but what I would love to get to the crux of, and am much more interested in, is just what those perfect award winning books had about them for you? What made them work for you personally? Which criteria would you be looking for if you were judging a book award? What would instantly stop you from wanting a book to go further through the process? 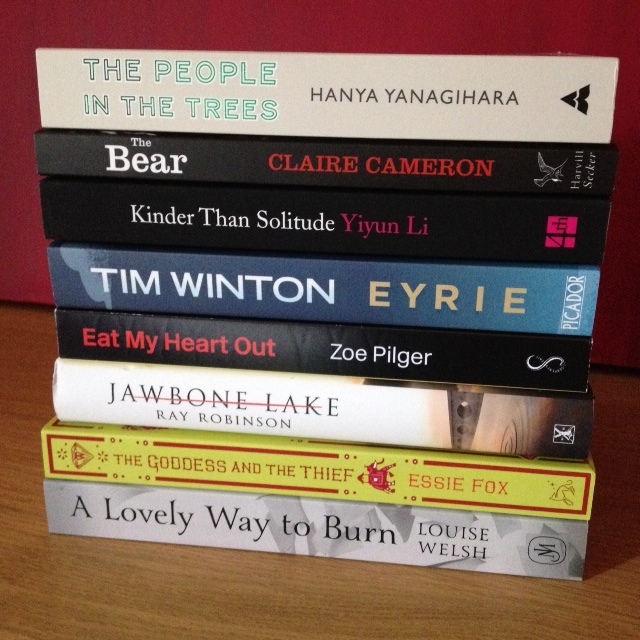 Which book award winners have mystified you and more importantly why? Bizarely a week or so before the Man Booker Long List was announced my Gran (who I know you are all a big fan of) was telling me how wonderful the author William Trevor was. She did add that invariably his entire works “end in tears before bed time” but equally were some of the most wonderful writing and prose she has read from a modern author. Now had I know that he had a new book coming out after such praise as that (my Gran doesn’t rave about authors often after 60 plus years of reading) I would have possibly put him in my guess for the Man Booker Long List this year, but I didn’t. Now reading the Long List I have had the honor of getting an early copy but would William Trevor live up to my long list hopes, let alone my Gran’s high praise? ‘Love & Summer’ is really a snap shot of several peoples lives in the village of Rathmoye, Ireland. I have to admit as I have a slight nosey streak I really enjoy books that have a decent plot but are very much about people and observations of characters and from reading this novel it’s clear that William Trevor is wonderful at this. However it is at the end of one characters life that the book starts and through this death certain characters meet and certain characters circumstances change for good. The death of Mrs Connulty and her journey from building to building through the town after is the opening paragraph of the book and had me thinking ‘oh this is going to be gloomy’ until I read a line that made me laugh out loud. As she dies Mrs Connulty thinks that “she wouldn’t miss her daughter and she sincerely hoped she wouldn’t be reunited with her husband”, I thought that that was a brilliant line and one I wasn’t expecting. After her death we also see how grief affects her children both Joseph and the unnamed Miss Connulty. There are scenes with the latter and her mother’s jewelry that are fascinating and incredibly insightful. Mrs Connulty’s death seems to affect everyone in Rathmoye as if you believe the gossip mongers “Mrs Connulty owned half the town” and everyone is out for the funeral. One such guest is Ellie Dillahan the young former convent girl and now second wife of the local farmer who used to deliver Mrs Connulty her eggs. There she spots a stranger to the village taking photos of the funeral that no one else seems to notice. The photographer is Florian Kilderry and he has originally come to photograph the burnt out cinema until he see’s the funeral procession. However someone else spots Florian and Miss Connulty decides he is bad news and must be kept and eye on as events unfold. I won’t go into anymore of the plot as it would give too much away and so intricate is it that I could end up writing endlessly about the twists and turns of these wonderful often dark and compelling characters. The pasts of both Ellie and Miss Connulty are fascinating and wonderfully written and you do wonder how on earth William Trevor manages this in less than 220 pages, it is quite a feat and I can see for that reason why the Man Booker judges have selected it. I will admit in parts with so many characters in such short spaces of time I found it occasionally confusing and had to re-read a fair few bits, but then this isn’t the sort of book you can sit down and read in one go just because its short. You can’t rush it as you may miss important small statements with the love story that runs through it, even if I wasn’t sure about Florian myself, and the fact that what story you instantly think you may get isn’t quite what is delivered. It is truly a book you have to savour it and with characters like my very favourite Orpen Wren who is a wonderful old man with dementia that plays a very pivotal role you will want to savour every scene. 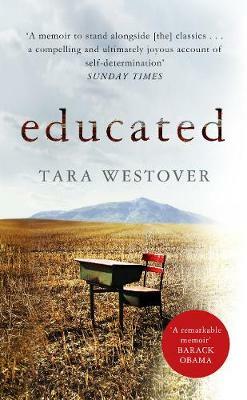 I did really enjoy the book; will it make it into my short list for the Man Booker? Hmmm, time will tell as I still have another ten of them to read. I will say that this is a perfect summer book (as the title will suggest) and found it the perfect companion by the pool with a picnic this weekend even if as my Gran warned there were ‘a few tears before bedtime’. Have you read any other William Trevor books? I definately want to read more of his fiction in the future and havn’t a clue where to start!